The Grace is a charming low foot end bed that could be the perfect bed you are looking for. The grey colour will look great in many bedroom settings and themes. The design of the headboard features an open slatted design with horizontal rail. Whether it’s a guest room, children’s bedroom or a master, space can sometimes be a precious commodity. A low foot end gives a greater sense of space in the bedroom, and it also allows for easier access around the footend and for access to wardrobes and chests that may be situated at the end of the bed. The frame has solid slats which provide firmer support for your mattress. The gap beneath the bed would be ideal for storage or even a guest bed (28cm). 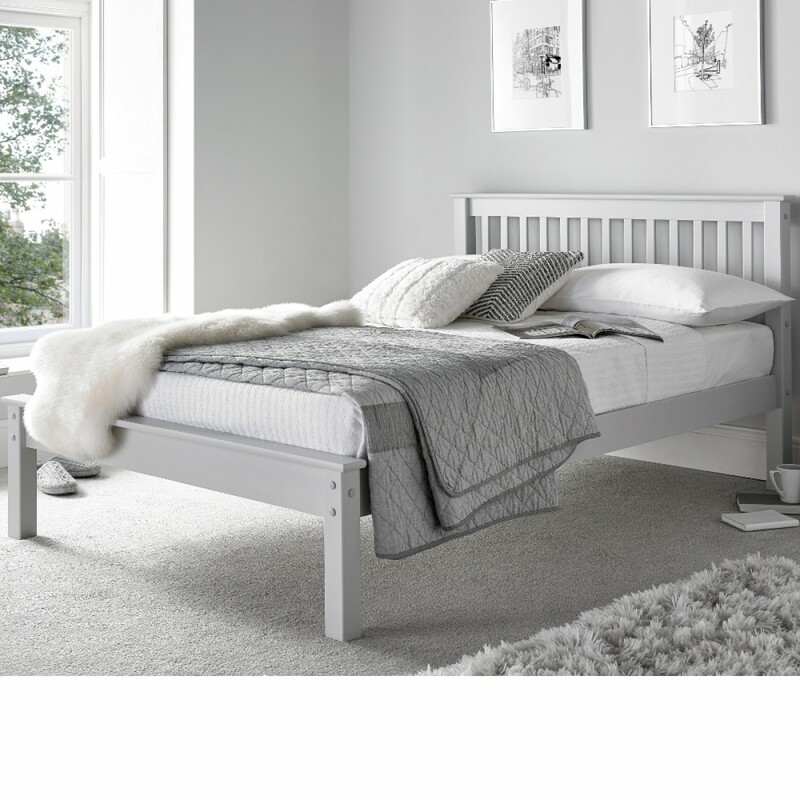 The Grace bed is delivered flat packed and can be easily assembled using the instructions provided. what is the clearance height from floor to slats? and floor to bed frame base? Is this a standard single height bed? The floor clearance of the Grace bed is 28 cm. The floor to slats is approximately 31cm. There isn't a standard height for single beds as they are made for different sleeping heights. Do the slats run as a single slat from one side to the other, or is it divided in 2 halves? Also in the middle, is there a support leg? do the slats screw in to the sides of the frame or are they ones you slot in to plastic cases? The Grace Low Foot end Bed in sizes larger than a single will have a support beam. As the bed has solid slats they are screwed into place. Is the headboard in one piece or does it have to be built up.